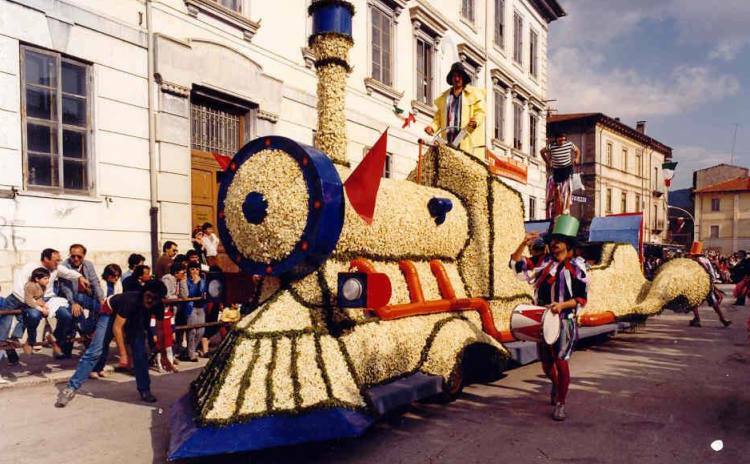 On May 26th, parade of wagons decorated with scented flowers of narcissus. 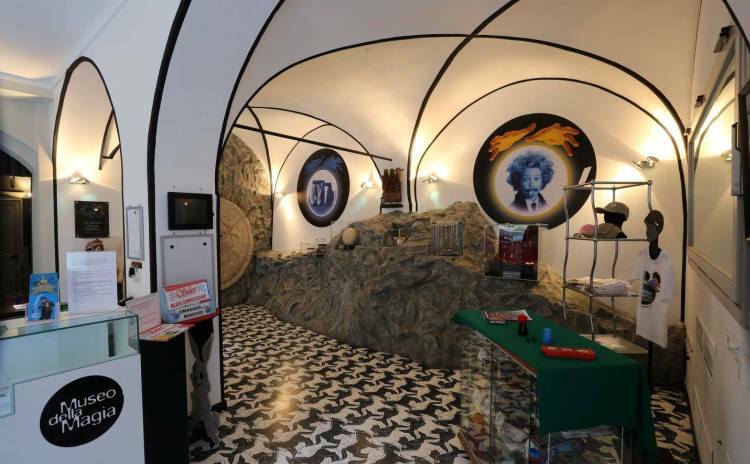 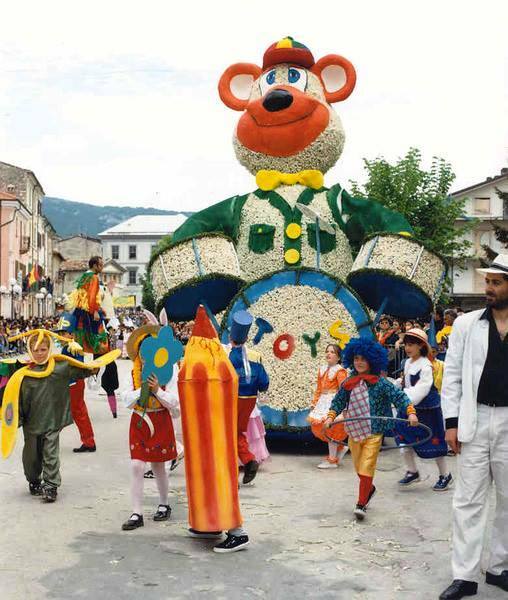 The Feast of Narcissus is celebrated every year on the last Sunday of May (this year on May 26th, 2019), in Rocca di Mezzo, a small village in the province of L’Aquila. 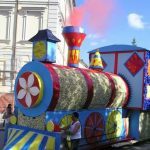 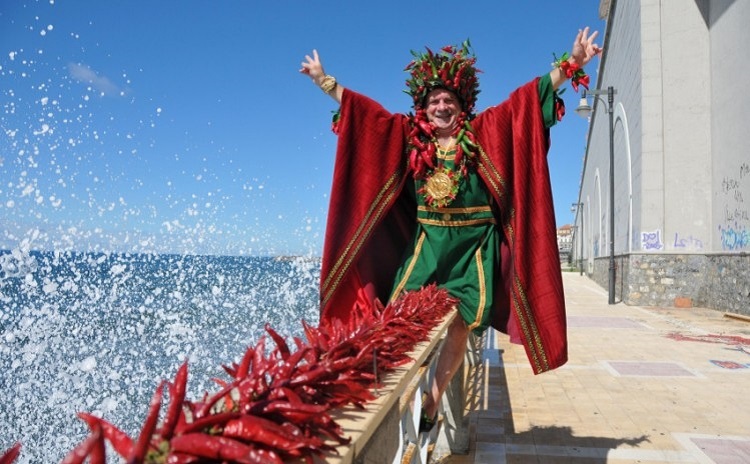 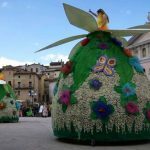 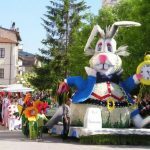 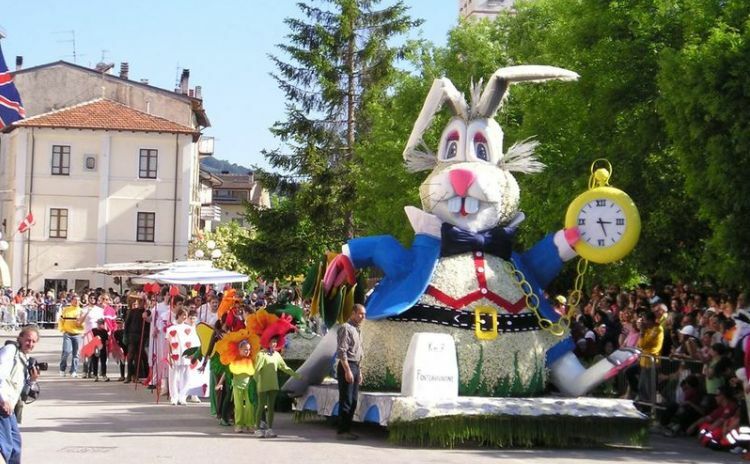 A feature of the feast, which is celebrated for more than 60 years, is the parade of allegorical wagons decorated with narcissus that bloom abundantly in May in the upland of the Rocche. 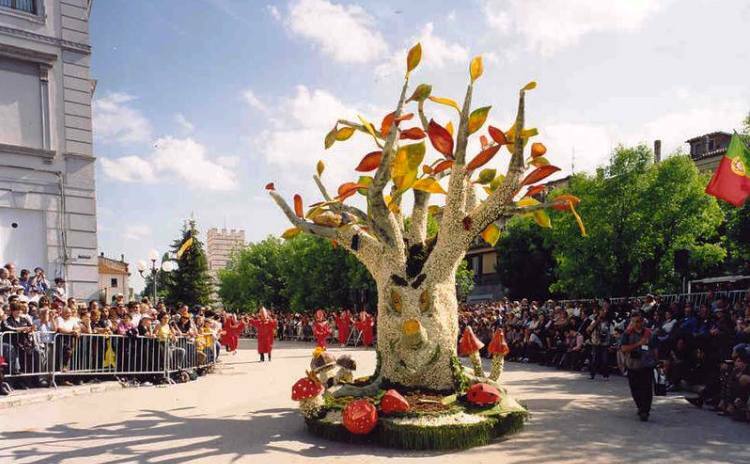 The wagons also participate in a contest and every year the winner is the most beautiful wagon judged by 3 criteria: “flowering”, structure and scenic design. 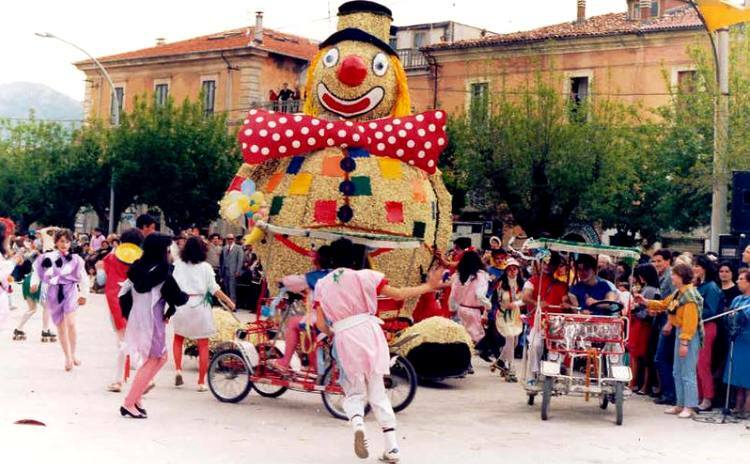 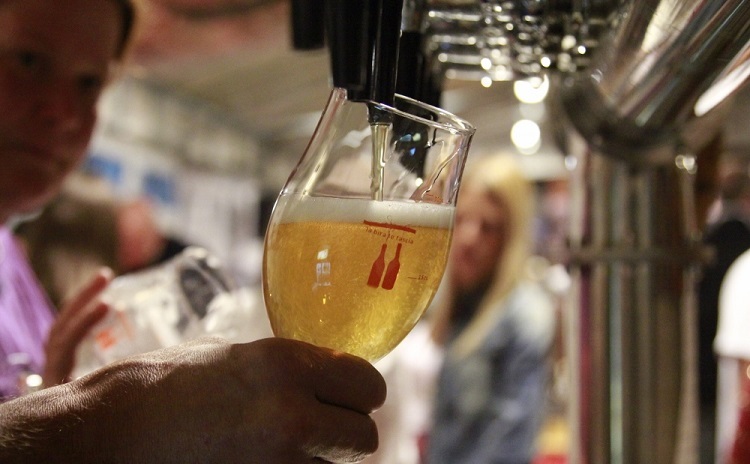 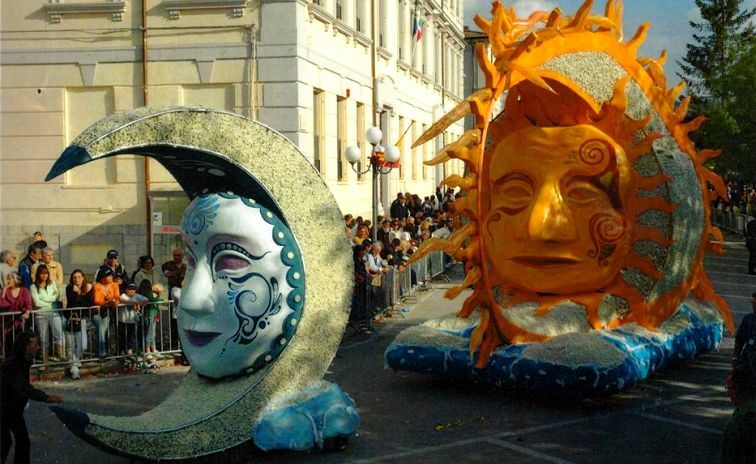 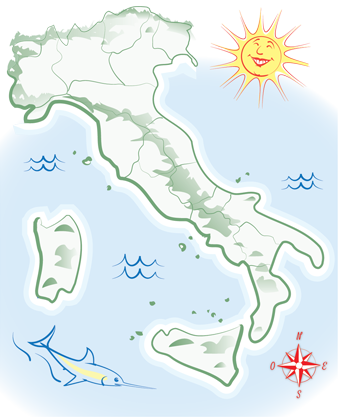 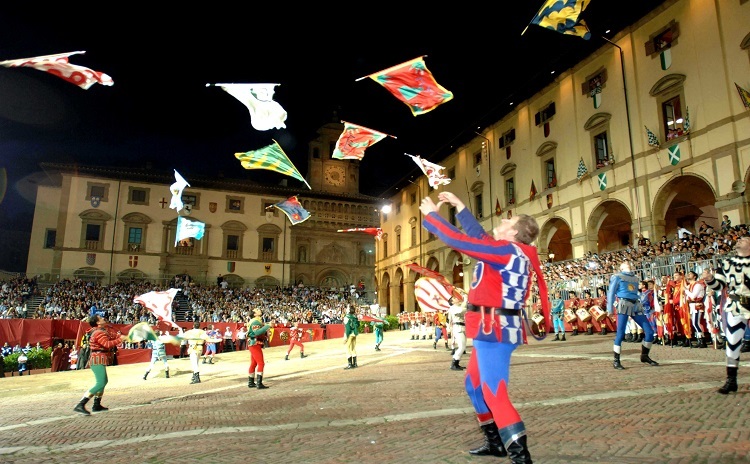 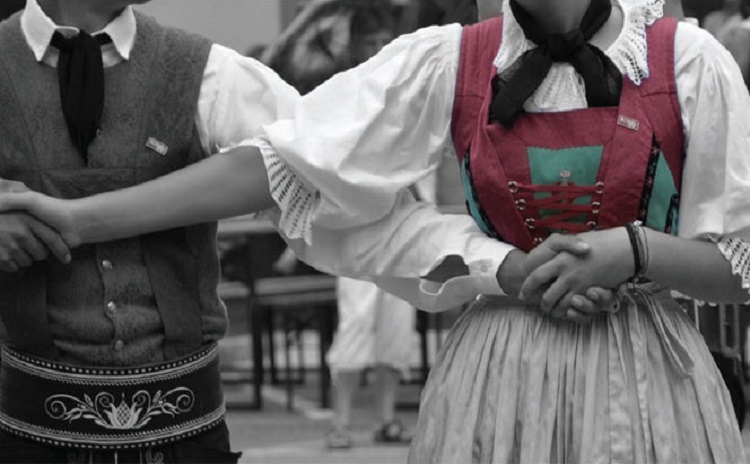 The wagons themes are connected to the traditions of Abruzzo or to events inspired to the social life of the territory. 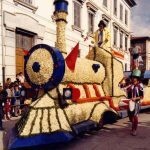 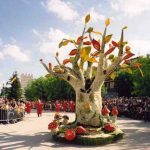 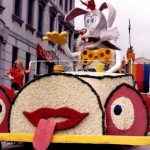 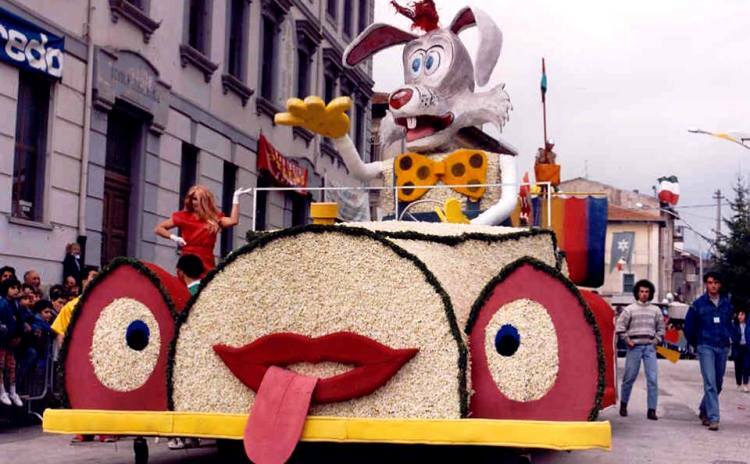 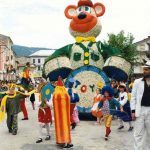 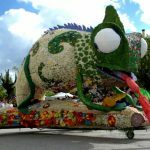 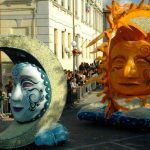 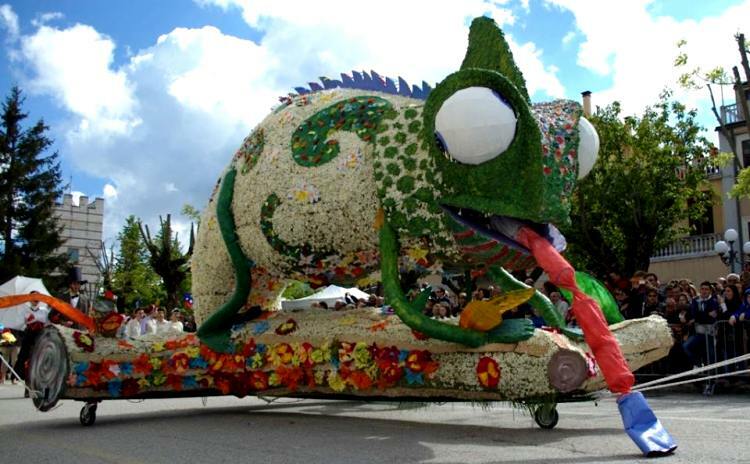 The origins of the celebration are uncertain, but it may be inspired to the “Rose Parade” in Pasadena, California that has been brought by some emigrants of Rocca di Mezzo who returned in Italy. 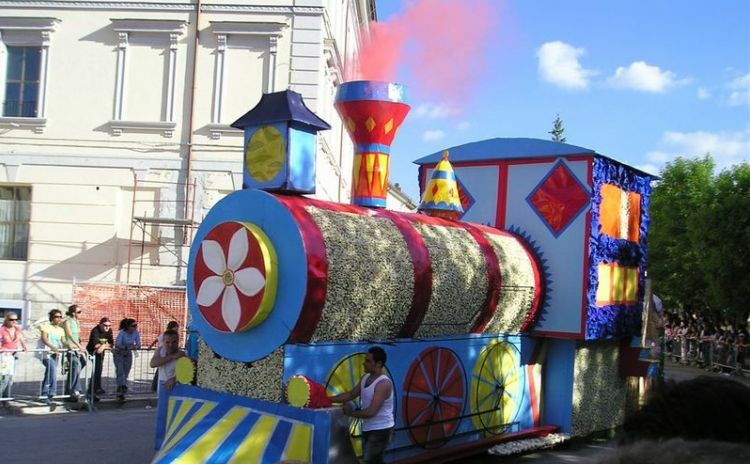 The wagons are realized very carefully in every detail and the preparation work lasts the whole month of May. 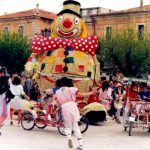 The last week is the most intense one and while the girls and women collect the narcissus, the boys and men refinish the wagon. 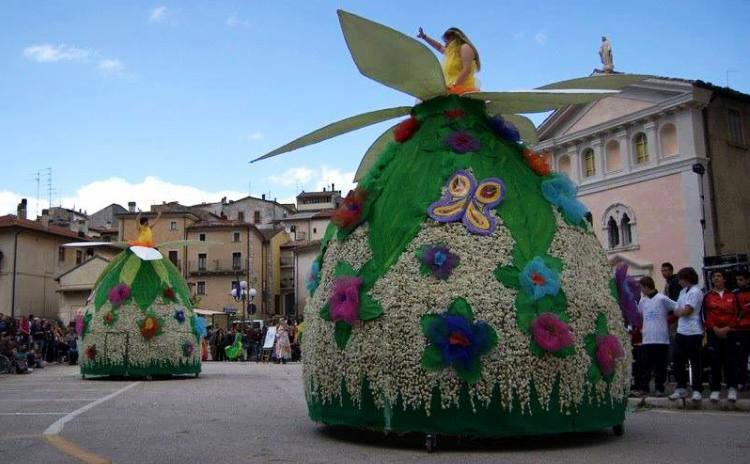 The night before the parade is dedicated to the flowering and the care of the last details.